Proficient Training will soon offer Water Safety and Swimming Lessons. We offer the Canadian Red Cross Water Safety Program, Swim Kids. This is Canada’s most widely used program. 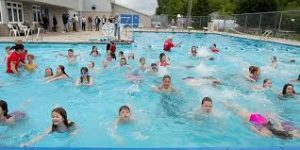 Our lessons are to be offered at two facilities on the opposite sides of Winnipeg: Elmwood Kildonan Pool and St James Centennial Pool. Our lessons are set out in time blocks on Sundays (7 classes of 45 minutes) such that there are combined levels in a Beginner Group, an Intermediate Group and an Advanced Group. The Advanced Group is Swim Kids 7, 8, 9 and 10. St James Centennial Pool (SJC) is located at 644 Parkdale Street. Classes will run on Sundays in the Fall. Elmwood Kildonan Pool (EK) is located at 909 Concordia Avenue. Classes will run on Sundays in the Fall.